Punjab secured three points, as against Baroda's one, on the basis of taking the first-innings lead at the Feroz Shah Kotla on the fourth and final day of the high-scoring game. Owing to the out-of-favour India all-rounder Yuvraj's 260, his second century of the season, and opener Manan Vohra's 224, Punjab piled up a mammoth 670 before being bowled out. Even as the match headed for a draw, Baroda batted a second time and scored 37 for no loss in 14 overs before it was called off. For Baroda, left-arm spinner Swapnil Singh picked up 4/169 bowling 51 overs, while off-spinner Vishnu Solanki took 3/151, including the wicket of Yuvraj. During their stay in the middle, Yuvraj and Vohra added 343 runs for the third wicket at nearly fours runs an over. The left-handed Yuvraj then quickly put on 116 runs for the fourth wicket with Gurkeerat Singh (55) to help Punjab go past Baroda's first-innings total of 529 all out and pave the way for securing three points. Punjab were overnight 452/2 with Vohra and Yuvraj batting on 201 and 179 respectively. While Yuvraj slammed 26 boundaries and four sixes during his fluent knock that came off 370 balls, Vohra found the fence 20 times and cleared it twice in his 386-ball innings. Punjab 3 points, Baroda 1 point. 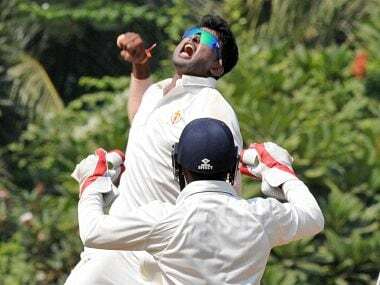 Mumbai: Krishnappa Gowtham destroyed Assam's second innings with a brilliant stint of off-spin bowling before Karnataka romped home to a comprehensive 10-wicket victory on the fourth and final day of their Ranji Trophy Group B game. Gowtham grabbed 7 for 108 while leg-spinner Shreyas Gopal captured the other three wickets for 97 as the spin duo bundled out Assam for 264 in their second innings at the Bandra Kurla Complex ground. Karnataka, who led Assam by 245 runs in the first innings, needed 20 runs for an outright victory and accumulated the required runs for no loss in just three overs to secure a thumping victory with a bonus point to boot. The seven points that Karnataka gathered here helped them leapfrog Jharkhand to the top of the league table with 17 points. 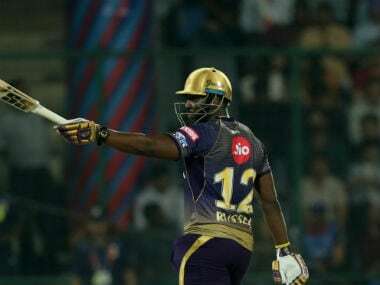 This was also the southern outfit's second successive outright victory after their innings win over Delhi at the Eden Gardens, Kolkata in their previous game. Assam had their backs to the wall when they commenced in the morning at 48 for one and so it proved. Barring first innings centurion Amit Verma, himself a former player from Karnataka, who made an aggressive 74 with the help of four sixes and seven fours in 120 balls, and opener Rahul Hazarika (44), the others put up meek resistance against Gowtham and Shreyas. The 28-year-old Gowtham – playing in only his sixth game in four years - claimed six of the top seven batsmen, including Verma, to finish with his career's as well as season's second five wicket haul in an innings that took his tally of victims this season to 18 in three games. Gowtham had taken 5 for 35 in the second innings against Delhi, his maiden five wicket haul. Opener Rahul Hazarika was the second best scorer with 44, while lower down the order Sarupam Purkayastha made 33 to add to his first innings half century, but overall Assam put up a poor batting show against the spin duo barring left hander Verma. Brief scores: Assam 325 and 264 (R Hazarika 44, A Verma 74; K Gowtham 7 for 108, S Gopal 3 for 97) lost to Karnataka 570 and 21 for no loss by ten wickets. Points: Karnataka 7 points. Assam 0 points. 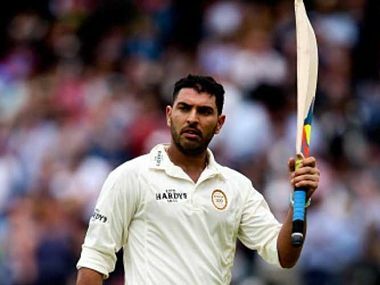 New Delhi: Skipper Yuvraj Singh notched up a fine double century as Punjab surpassed Baroda's huge first-innings total with ease to collect three points from their Group A Ranji Trophy match. Dharamsala: Bengal's most potent match winner Ashok Dinda rose to the occasion when it mattered the most as his five-wicket burst ensured a 43-run win against Railways in a Ranji Trophy Group A league encounter. Needing 119 runs on the final day with five wickets in hand to reach a victory target of 315, Railways could manage 271 in 93.2 overs largely due to Dinda' s 5/67. Bengal are now firmly on course for a knockout berth with 15 points in their kitty with two outright wins and three points by virtue of first innings lead in a drawn match. En route his 20th five-wicket haul in first class cricket, Dinda also completed a match haul of 10 wickets (10/112) having taken 5/45 in first innings. It was a tricky final day as Mahesh Rawat (34) and skipper Karn Sharma (54 not out) came out to bat. The score was 186 for five and the second new ball was just an over old. Using the conditions and his ability to hit the deck hard to perfection, Dinda employed a fuller length which did the trick. First to go was Rawat who got a delivery that caught him plumb in-front. Once the 54-run stand came to an end, the floodgates opened as Dinda demolished the lower half in an unchanged 6.2 over spell. While Karn chanced his arm at the other end, there was no support for him. Amit Mishra (5) edged an away going delivery to skipper Manoj Tiwary in the slips. Dipak Bansal (1) nicked one to Wriddhiman Saha. Anureet Singh (10) and Karan Thakur (1) were then cleaned up as it turned out to be a perfect match for Bengal pace trio led by Dinda. Youngsters Amit Kuila and Sayan Ghosh got five wickets apiece as the three pacers bagged all 20 wickets in the match. Railways: 105 & 271 in 93.2 overs (Shivakant Shukla 83, Karn Sharma 54 not out, Arindam Ghosh 51, Ashok Dinda 5/67). Points: Bengal 6; Railways 0. Mumbai: Young opener Shubham Rohilla struck a maiden century but could not prevent Andhra from defeating Group C leaders Haryana by 77 runs in their Ranji Trophy league game at the Wankhede Stadium. Required to score 371 for an outright victory after having conceded a 150-run first innings lead to Andhra, Haryana were all out for 293, a vast improvement on their first innings score of 103, but still not good enough to carry them across the finish line. The northern outfit began the last day at the overnight 138 for 3 with their main hopes resting on 18-year-old Rohilla who carried on from 75 to notch his fledgling career's opening first class ton. However once Rohilla, who made 118 in 274 balls with 10 hits to the fence, was trapped leg before with the second new ball by Andhra medium pacer Siva Kumar, who bagged five wickets in the first innings, Haryana's hopes ebbed away. C K Bishnoi made a fighting, unbeaten 69 for a losing cause. Siva Kumar was given good support mainly by left-arm spinner Bhargav Bhatt who took three wickets to add to the two he claimed in the first innings. 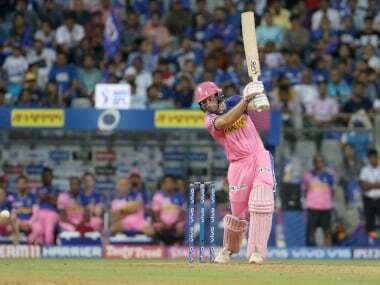 There was some resistance from last man Ashish Hooda who remained scoreless after facing 27 balls before he was dismissed leg before by Ravi Teja to bring the match to an end. Bishnoi remained unconquered after facing 238 balls and striking six fours. Andhra secured five points that boosted their tally to 13 from four while Haryana remained on 15 from the same number of games. Brief scores: Andhra 253 and 220 beat Haryana 103 and 293 (S G Rohilla 118, C K Bishnoi not out 69; Siva Kumar 4 for 71 B Bhatt 3 for 82) by 77 runs. Points: Andhra 5 points. Haryana nil. Mohali: Odisha finished at 274 for eight in their second innings as Delhi failed to garner bonus points after their Group B Ranji Trophy cricket match ended in a tame draw. Delhi pocketed three points from the drawn affair by virtue of their first innings lead, while Odisha had to be contend with just a point. Resuming their second essay at the overnight score of 109 for four, Odisha Biplab Samantray made a patient 88 off 221 balls with the help of 11 boundaries to amass the 274 run score in 133 overs. Besides Samantray, wicket-keeper Saurabh Rawat hit 55 off 189 balls and together with the former shared 134 runs for the sixth wicket stand in the final day of the match. Fit-again Ishant Sharma (3/51) picked up three wickets for Delhi. Earlier, Delhi declared their first innings at 495 for eight in reply to Odisha's 237 all out. Odisha 237 and 274 for eight in 133 overs (Biplab Samantray 88, Gobind Poddar 56, Saurabh Rawat 55; Ishant Sharma 3/51). Delhi 495/8 decl (Gautam Gambhir 147, Milind Kumar 106, Manan Sharma 81, Rishabh Pant 60). Points: Delhi 3, Odisha 1. 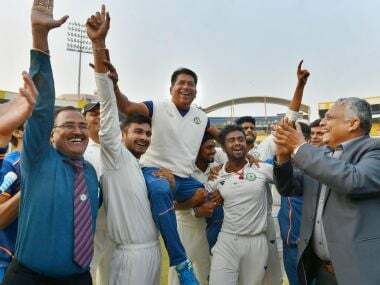 Wayanad: Jharkhand grabbed three points, owing to the first innings lead after their Group B Ranji Trophy match against Vidarbha ended in a draw at the Krishnagiri Stadium. Resuming at an overnight score of 315/3, Vidarbha's second innings folded at 444 in 152.2 overs and Jharkhand then reached 75 for four in 24.5 overs at stumps on the fourth and final day here. Earlier in the day, Aditya Shanware (54) and Ravi Jangid (56) were dismissed in successive overs after adding just six runs to their overnight total as Vidarbha slipped to 321-5. Akshay Karnewar (39) and Jitesh Sharma (35) then helped Vidarbha raise 400 runs when the former was dismissed by Ashish Kumar. One over later, Sharma was cleaned up by Ajay Yadav and in the 142nd over, newman Rajneesh Gurbani (4) too was back in the hut. Shrikant Wagh (31) then cracked six boundaries in his 52-ball innings before running out of partners at the other end. In reply, Jharkhand were reduced to 24-3 in 6.3 overs but Sourabh Tiwary played a good knock, scoring 49-ball 35. Jharkhand 1st inning: 362-8 declared in 122.5 overs. Jharkhand 2nd inning: 75/4 in 24.5 overs. Guwahati: Bowling out Himachal Pradesh for 36 proved to be the key for Hyderabad as they ended their Ranji Trophy Group C match with three points after narrowly missing out on an outright victory. After Himachal were bundled out for the fourth lowest total since 2000, Hyderabad, riding on B Anirudh's patient 64, managed to put up 126 all out to pave the way for the much-needed lead. Hyderabad had taken a first-innings lead of 90 runs. In their second innings, Himachal produced a much better batting display to make 301, with Robin Bist making an unbeaten 84 and Paras Dogra contributing 57 at the Barsapara Cricket Stadium. Set 212 to win, Hyderabad made 200 for the loss of six wickets in 54 overs before the match was called off, leaving them short of the target by just 12 runs. Kolla Sumanth top-scored with 67 off 108 balls, while B Anirudh made 63 to go with his crucial half century in the first essay. Cuttack: Tamil Nadu failed to register an outside win over Madhya Pradesh despite enforcing follow-on as the latter rode on half-centuries from Shubham Sharma and Harpreet Singh to at least garner a point in the Group A Ranji Trophy match. Following on, Madhya Pradesh ended their second innings at 222 for five in 78 overs as the game ended in a draw. At one stage it looked, Tamil Nadu were on course for an outright win with Madhya Pradesh totetting at 44 for four. But Shubham (77 not out) and Harpreet (52) forged a valiant partnership to take their team out of trouble. Shubham and Harpreet shared 109-run partnership for the fifth wicket to take Madhya Pradesh out of trouble. Wicket-keeper Ankit Dane (33 not out) also played a good hand in the company of Shubham. R Aushik Srinivas (3/40) and medium-pacer Aswin Crist (2/40) were the wicket takers for Tamil Nadu. Earlier resuming at 261 for seven, Madhya Pradesh were bowled out for 273 in their first essay in reply to Tamil Nadu's mammoth 555 for seven declared. Tamil Nadu take home three points from the match by virtue of first innings lead while Madhya Pradesh had to be satisfied with one point. Tamil Nadu 1st innings: 555 for seven decl. Points: Tamil Nadu 3, Madhya Pradesh 1. New Delhi: Hardik Patel produced a sensational seven-wicket haul as Gujarat defeated Uttar Pradesh by 132 runs to grab six points from their Ranji Trophy Group A match at the Model Sports Complex in Palam A Ground. Playing only his fifth first-class match, Hardik returned with career-best figures of 31.5-11-72-7 on the fourth and final day to leave Uttar Pradesh gasping for breath. Resuming their second innings at 186/5, Gujarat lost their remaining five wickets for just 15 runs to set Uttar Pradesh a victory target of 308. Shrugging off the morning blues, Gujarat then returned to bowl out Uttar Pradesh for 175 in 76.5 overs. With this win, Gujarat zoomed to the top of the points table with 15 points from three matches. Chasing 308, Uttar Pradesh made a watchful start but Hardik dismissed opener Eklavya Dwivedi (14) in the 7th over and then sent Samarth Singh (21) packing in the 19th over to leave UP at 61-2. Rush Kalaria then removed Sarfaraz Khan (16) and Ishwar Choudhary then got rid of the other opener Tanmay Srivastava (37) as UP were 101-4 in 37.3 overs. A 43-run partnership between Umang Sharma (36) and Mohammad Saif (21) was then broken by Hardik in the 59th over. Karan Patel also got into the act and dismissed Saif in the 66th over as UP further slipped to 156-6. Hardik then dismissed the remaining four wickets --Kuldeep Yadav (9), Sourabh kumar (11), Ankit Rajpoor (0) and Dhruv Pratap Singh (0) to complete the comprehensive victory for Gujarat. Earlier, Kuldeep Yadav (6/79) and Sourabh Kumar (4/46) shared all the 10 Gujarat wickets. Uttar Pradesh 241 & 175 allout in 76.5 overs (Tanmay Srivastava 37; hardik Patel 7/72). Bhubaneswar: Goa fell short of a successful chase by 15 runs as Tripura garnered 3 points on the basis of taking the first-innings lead in an exciting Group C Ranji Trophy cricket match here today. Sent into bat, Tripura managed 283 all out in their first innings, but bowled out Goa for 269 to take a crucial first innings lead of 14 runs at the KIIT Stadium. Tripura batted much better in their second innings, making a sporting declaration at 328/9 to set Goa a target of 343. The Goans nearly pulled off the chase before ending their second innings at 328/8 in 71 overs. Overnight 226/7, Tripura rode on Gurinder Singh's unbeaten 103 and Rajat Dey's 82. In reply, skipper Sagun Kamat (78) and Sumiran Amonkar (41) put on 83 runs for the second wicket to lay the foundation for Goa. After the duo's departure, Snehal Kauthankar (63), Darshan Misal (59) and Saurabh Bandekar (55) made useful contributions, but in the end their efforts did not prove to be enough for Goa. Points: Tripura 3, Goa 1. Jaipur: Jammu and Kashmir collected 3 points after taking the first-innings lead in their Group C Ranji Trophy cricket match against Services. Batting first, Services' Rahul Singh struck 182 to help his team make 477. Jammu and Kashmir gave a strong reply and made 612/8 with Ian Dev Singh (120), Shubham Khajuria (111) and Samiullah Beigh (109) recording centuries. 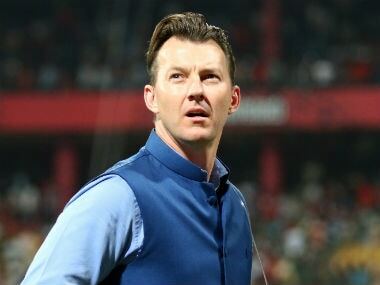 Beigh was unbeaten when the proceedings ended on the fourth and final day at the Sawai Mansingh Stadium. All-rounder Parvez Rasool contributed 70 after returning figures of 5/117 with the ball. Jammu and Kashmir were 379/6 overnight. Points: Jammu and Kashmir 3, Services 1. Hyderabad: Maharashtra pocketed three points by virtue of the first innings lead after their Ranji Trophy Group B match against Rajasthan ended in a draw at the Rajiv Gandhi International Stadium. Twelve wickets fall on the fourth and final day of the match as Rajasthan lost their remaining two wickets to end their first innings at 330 in 123.4 overs, handing a crucial 131-run first innings lead to Maharashtra. However, Rajasthan came back to bundle out Maharashtra for a paltry 145 in 60.4 overs in their second innings. They then batted for six over, scoring 4-0 in their second innings at stumps. Earlier resuming their first innings at an overnight score of 299/8, Rajasthan lost No. 9 Pankaj Singh (9) and No. 10 Nathu Singh (4) cheaply within 5 overs to end their innings. Overnight batsman Chetan Bist (59) was left stranded at the other end. Rajasthan then dished out a disciplined bowling effort with Nathu Singh (3/32) emerging as the highest wicket-taker and Pankaj and Tanvir Ul-Haq (2/4) claiming two wickets each. A Choudhary (1/42) and Mahipal Lomror (1/9) accounted for one wicket each. No 6 batsman Chirag Khurana (36) was the highest scorer in Maharashtra's second innings. Rajasthan 330 & 4/0 in 6 overs. Jamshedpur: Kerala secured 3 points for taking the first-innings lead in their Group C Ranji Trophy cricket match against Chhattisgarh. Batting first, Kerala were all out for 207, a shade better than Chhattisgarh's first-innings total of 187 at the Keenan Stadium. The two teams batted better in the second innings, though. While Kerala, overnight 15 for no loss, scored 307/2 riding on skipper Rohan Prem's unbeaten 123, Chhattisgarh, set a target of 328 for an outright victory, were 249/6 when the match ended. Opener Sahil Gupta was the top-scorer for Chhattisgarh with 123 not out. Points: Kerala 3, Chhattisgarh 1.